AB6IX Woo jin released Personal teaser image. 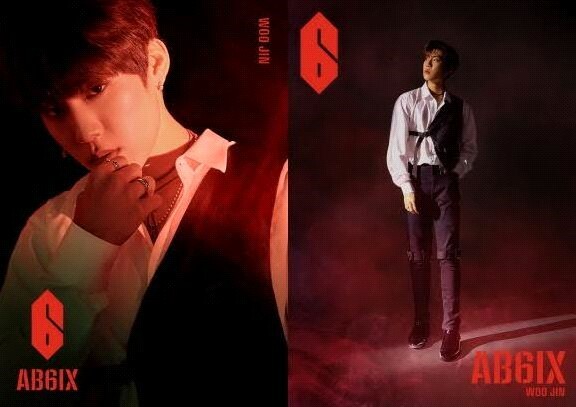 AB6IX Woo jin grabbed attention with an intense mood as he released a image of his personal teaser. Brand New Music received an explosive response when they released two images of Woo jin's teaser on AB6IX's official SNS channels at 12 p.m. on April 8. In the image, Woo jin is wearing a white shirt and staring at the camera, combined with red lights, gave his a more intense look, while in another image, he exuded his signature masculine charm with cold facial expressions and charismatic eye. Woo jin showed off his charm by releasing teaser images, recently released a special version of "Look Back At It" for his active love call by Billboard's top star A Boogie Wit Da Houdie, and has been receiving good reviews in Korea and abroad. Brand New Music's rookie boy band AB6IX is emerging as the best rookie in the K-pop scene in 2019, is scheduled to make their official debut in May with the addition of its new member "Woong."